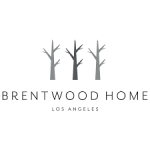 Brentwood Home is a brand of mattresses, bedding and pillows. The company is known as the artisans of sleep. The Los Angeles based company sells popular mattresses such as Oceano Mattress, Ojai Mattress and Cedar Mattress, all crafted in the United States. There are cribs, mattresses for kids, pillows, wedge pillows, quilts and candles, pet beds, nursing pillows, loungers and changing pads among others. There are substantial discounts facilitated through coupon codes, at times to the tune of $225. All mattresses and products are toxin-free, there is free shipping and returns, shoppers can avail financing without interest and there is a trial for four months.